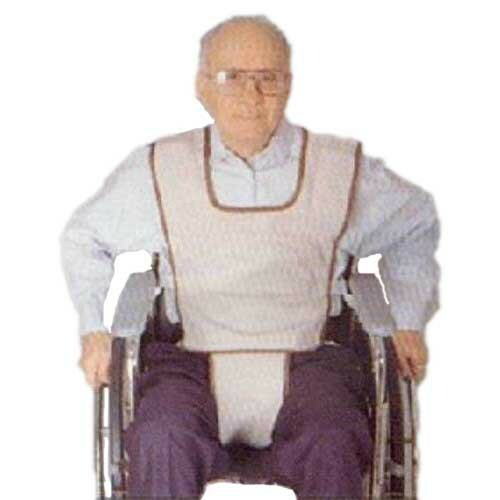 Skil-Care Slider Poncho is a wheelchair vest restraint designed to maintain the posture of at-risk patients. This vest restraint prevents patients from sliding or leaning forward. It also maintains an upright position to protect against leaning laterally. The vest comes with an attached foam-padded crotch piece to prevents sliding off of the wheelchair. A chest strap provides posture support. An angled waist strap reduces pelvic tilt that can contributes to sliding. The vest includes a urine-proof crotch pad cover. This crotch pad cover is removable and machine washable. Vitality Medical offer many bed and wheelchair restraints for patient safety, including Posey Vest Restraints, Posey Roll Belt, the Bed Safety Vest, and the Wheelchair Seat Belt Restraint. 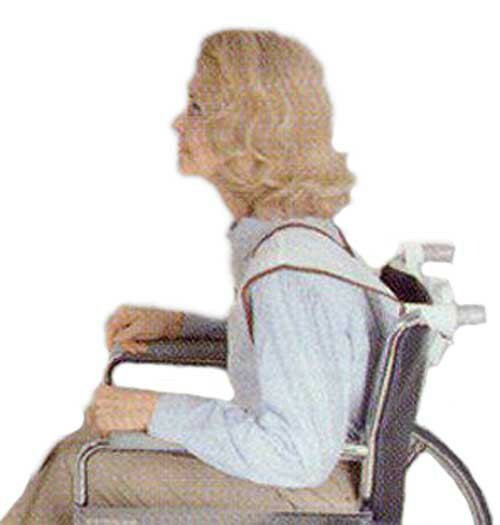 Vest restraint to protect wheelchair patients. Chest strap offers posture support. Angled waist straps reduces pelvic tilt to prevent sliding. Includes a removable and launderable urine-proof crotch pad cover.